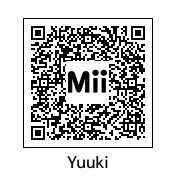 I’ve been playing a cute little game called Tomodachi Life on the 3DS. 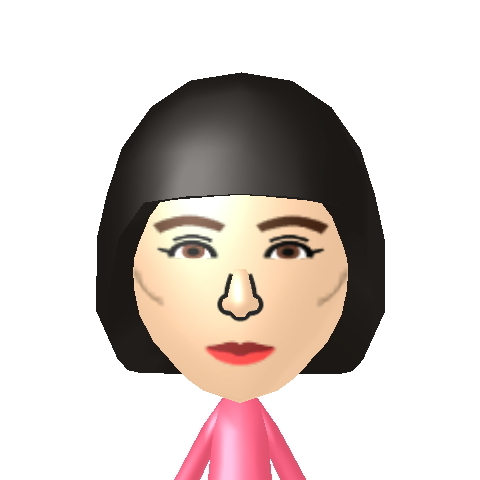 Since the Wii, Nintendo consoles have these things called Miis—goofy people you design that you can use in some games—and this game involves filling an apartment building with them and dressing them up, making them do songs, keeping them happy, etc. 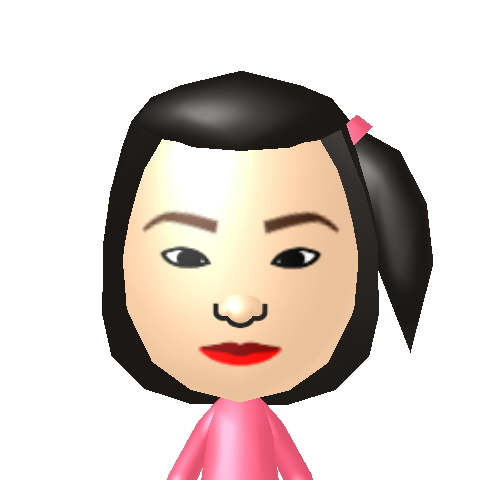 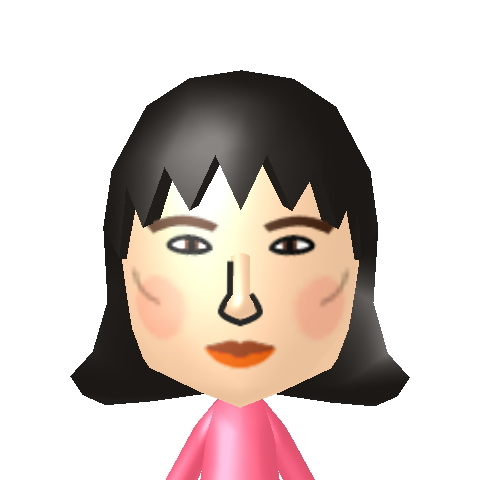 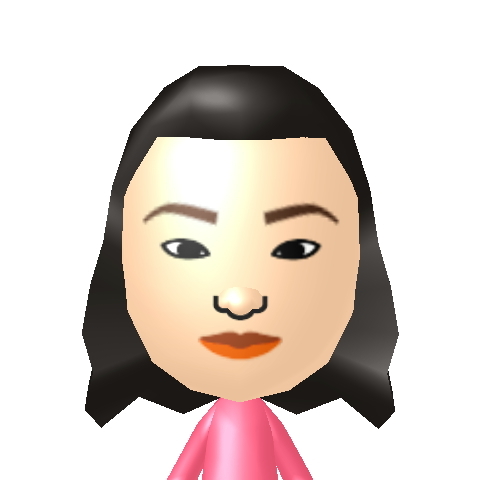 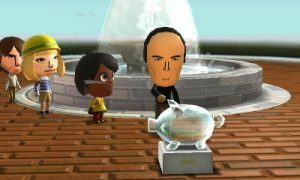 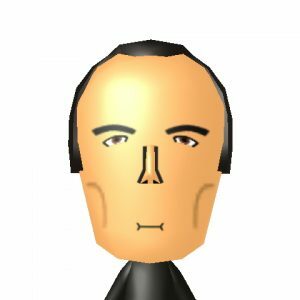 The idea with Miis is that you make one to represent yourself, and yours and your friends’ live in each others’ systems. 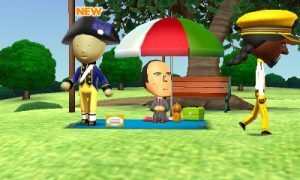 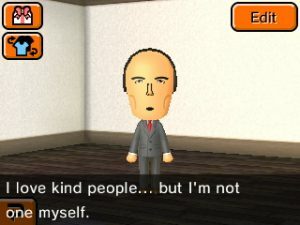 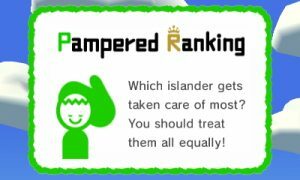 Tomodachi Life expands on this by making you give them personalities, lets you interact with them, and encourages you to make all sorts of different ones. 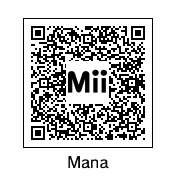 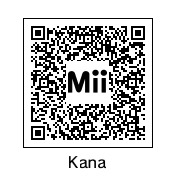 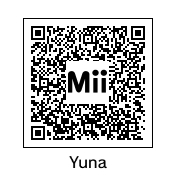 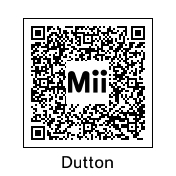 A little searching will dig up lots of Mii versions of celebrities and things, and these can be shared with QR codes. 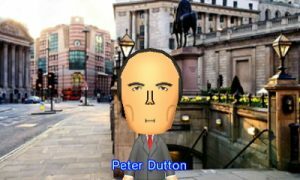 So I made Peter Dutton, and decided to treat him horribly. 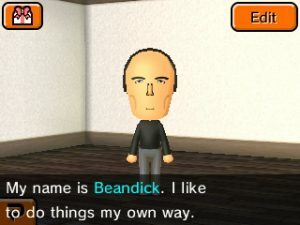 You have to give them a nickname, so I went with ‘Beandick’. 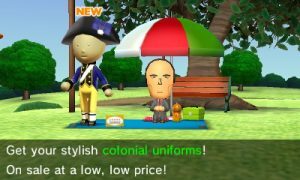 Yeah, I dunno. 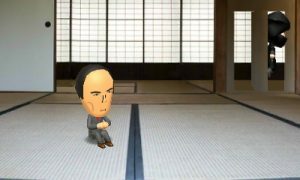 Here he is looking lonely in a Japanese hotel while I hang on the door doing ninja stuff? 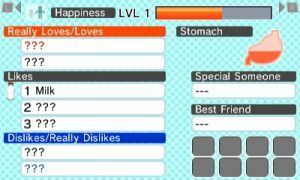 I only fed him once. 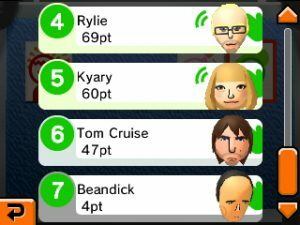 Snoop Dogg wasn’t into it.